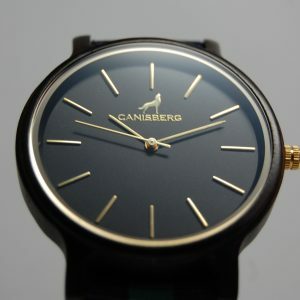 Nordic style, minimalistic, ecological and a pinch of luxury – combined by our model „ Charlie“. 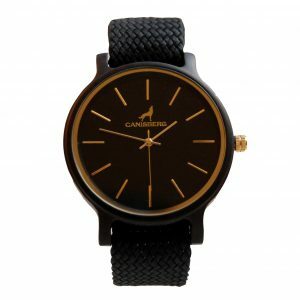 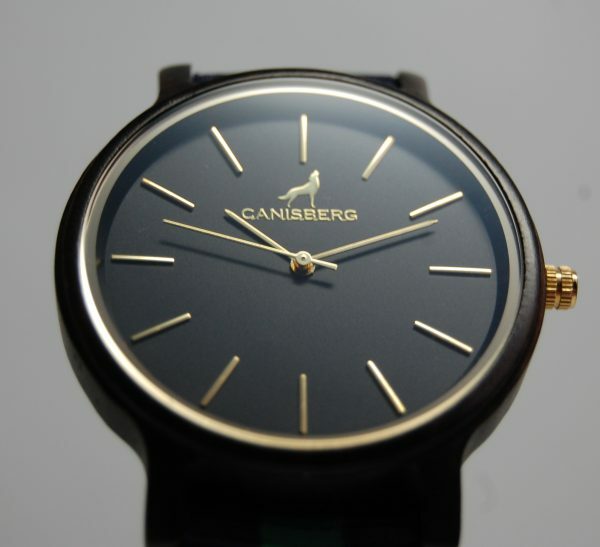 This elegant watch bribes with a black housing and a clock-face in black and gold. The flat housing equals the spirit of the age as well as the bracelet, which can be exchanged with only a few easy handles. Individuality on the highest level. 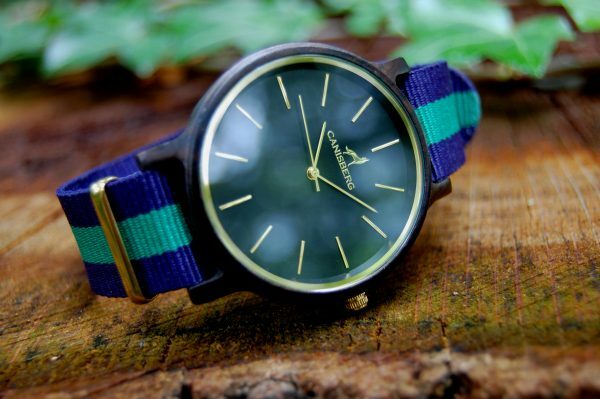 You will get the bracelet of „ Charlie“ in the stylish and luxurious colors of green and blue by standard. 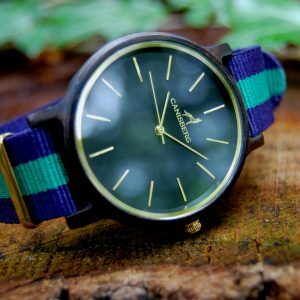 This is a tribute to our connection to nature – and at the same time, it looks remarkably well. 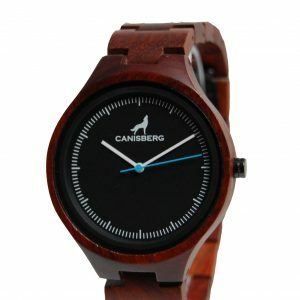 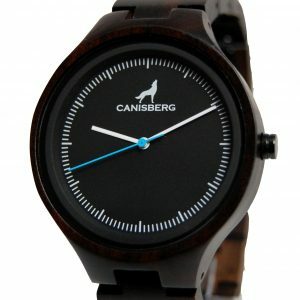 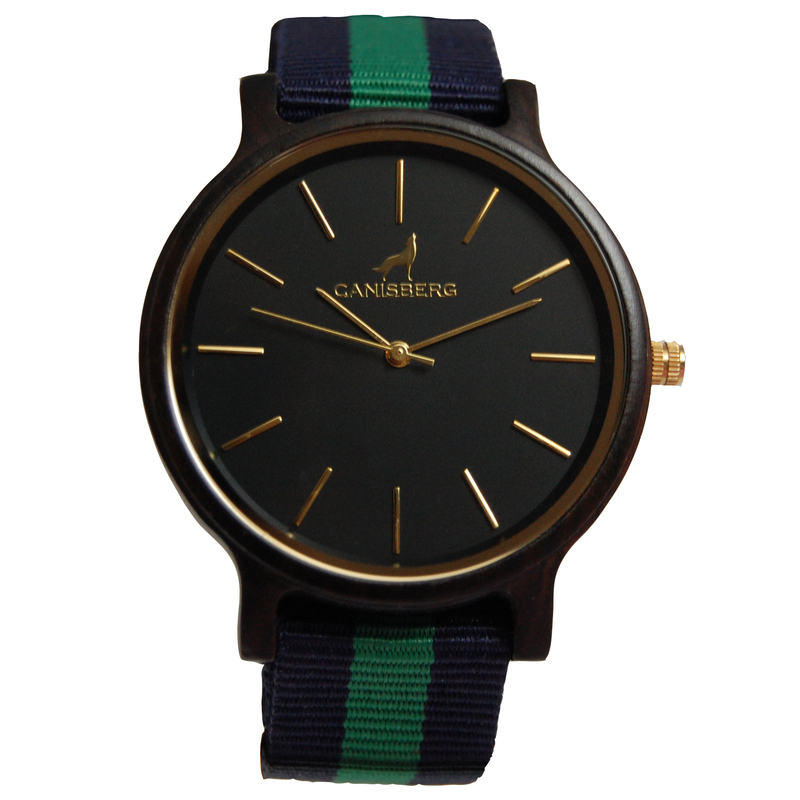 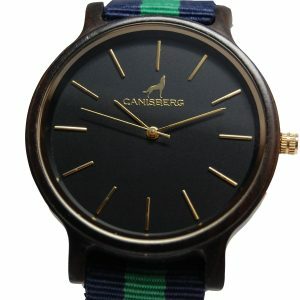 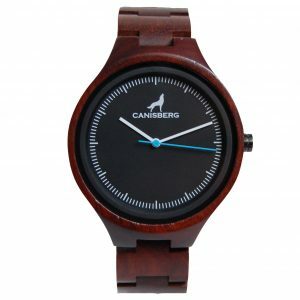 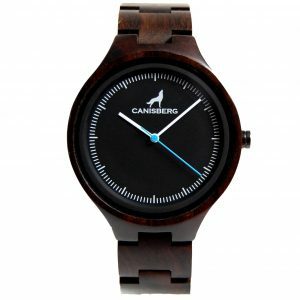 We would like to introduce to you “Charlie” from our Timberwolf by Canisberg collection. 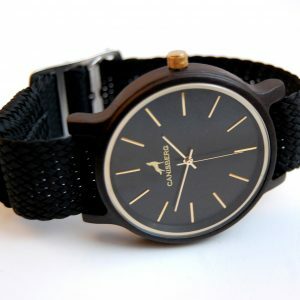 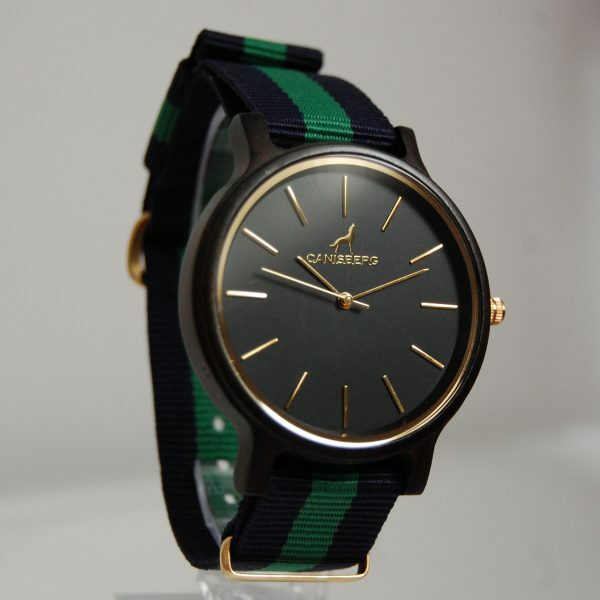 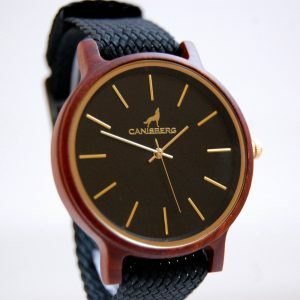 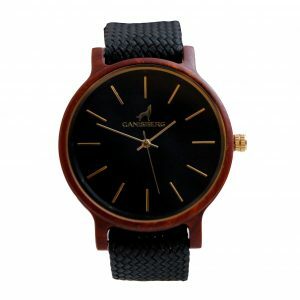 It is a handmade woodwatch with Japan-Quartz movement in stylish black color and a unique bracelet. Perfect for casual style, vacation or party, but also for more formal business meetings.